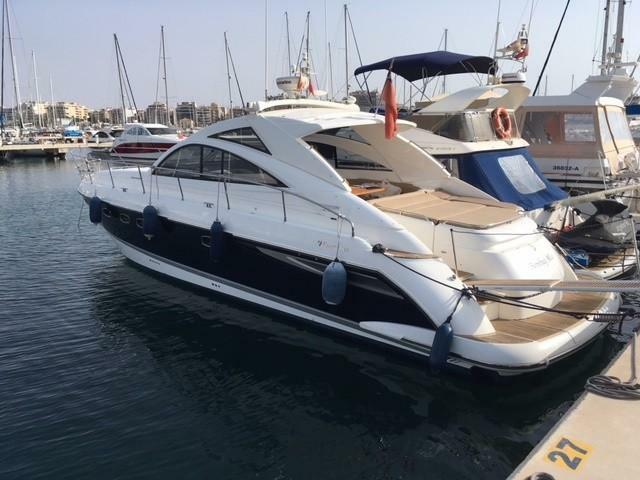 FAIRLINE TARGA 47, 2007. All GRP, white with blue stripe. Teak in cockpit and bathing platform, tender garage and sliding hard top. 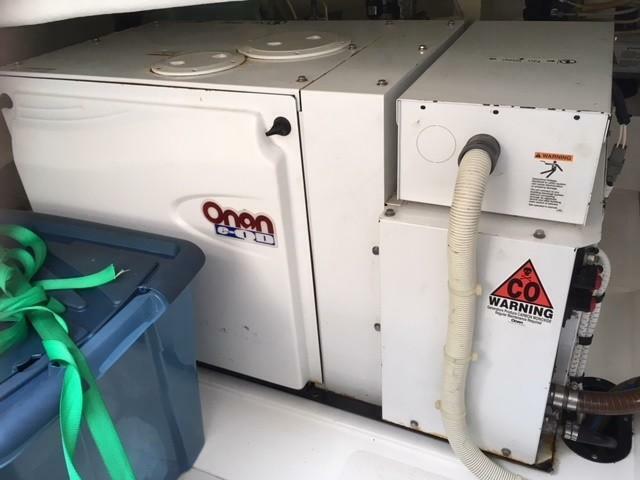 Twin Volvo Penta 500hp diesel engines, bow thruster, generator, air conditioning. Sleeps up to 6 in 2 cabins plus saloon conversion. 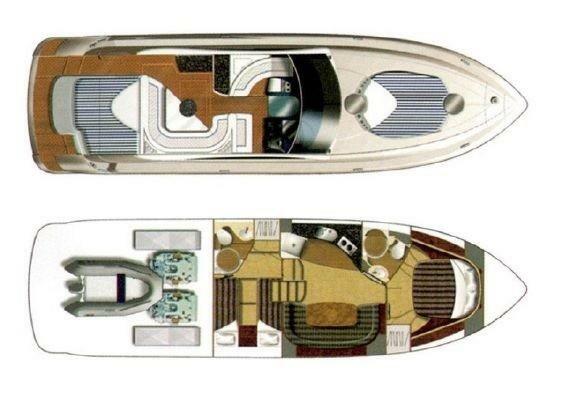 Master cabin forward with double, en-suite, aft cabin with twin singles and en-suite access to day heads. 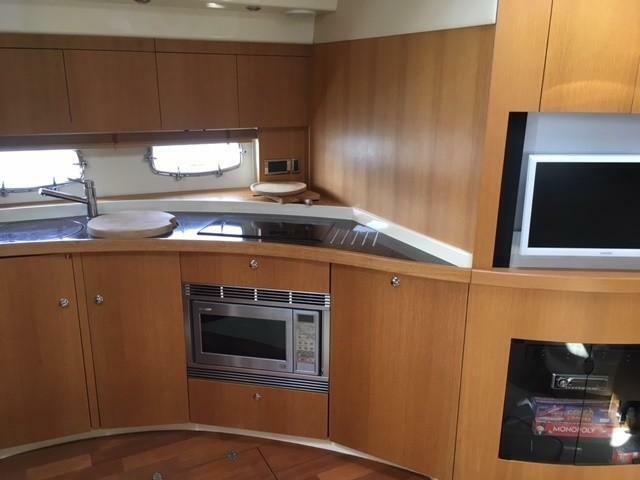 Saloon features C shaped seating around table to starboard (converts to double berth), and galley to port. Up steps to spacious cockpit area with helm, seating around table, sunbathing area and access to platform and garage. Further sunbathing area on forward deck. 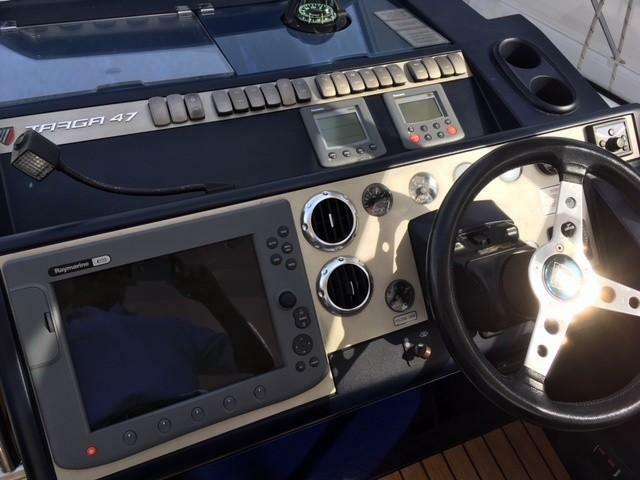 Inventory includes Raymarine navigation equipment, safety gear, TV, DVD and sound system. 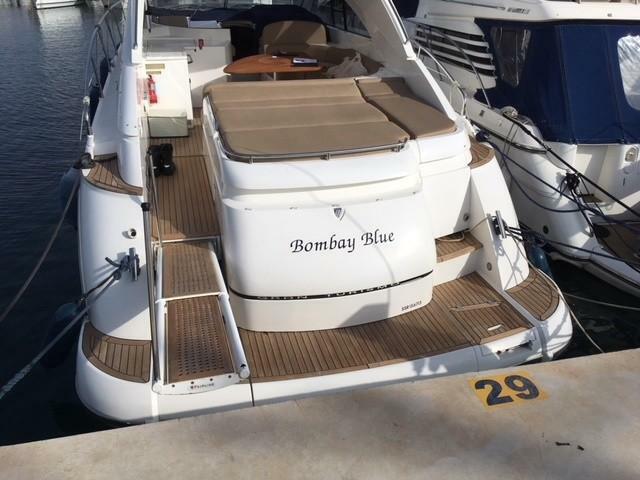 Internal and external upholstery renewed in 2013, very tidy boat, all serviced, hull polished and antifouling July/August , 2018. Lying Mallorca, currently out the water, tax paid. MOORING COULD BE AVAILABLE IN PALMA. All GRP with teak in cockpit and bathing platform. White with blue stripe. Sleeps up to 6 in 2 cabins plus the saloon. Master cabin forward with central double. En-suite with electric WC, hand basin and separate shower compartment. 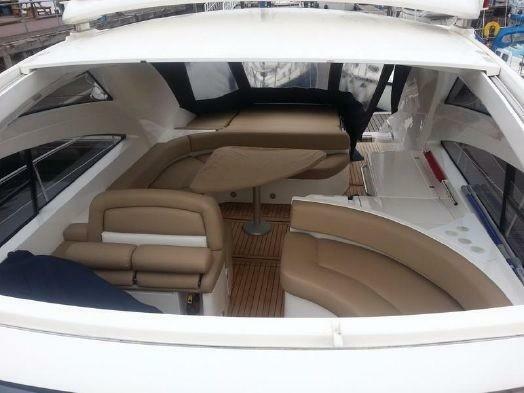 Aft cabin with twin single berths and en-suite access to day heads with electric WC, hand basin and shower. 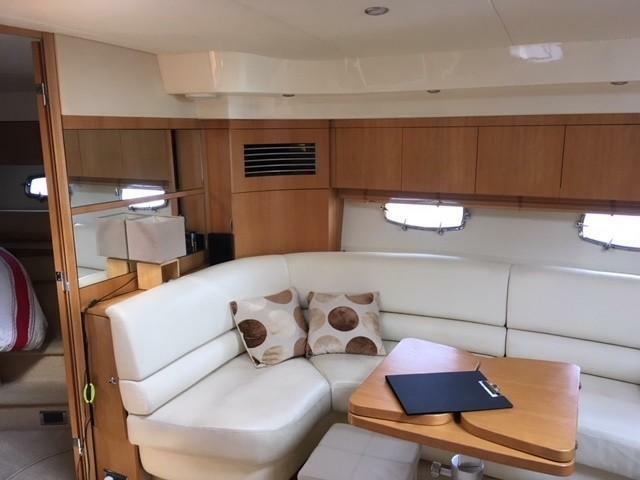 Saloon with C shaped seating around up/down table to starboard, which converts to the double berth, galley to port. 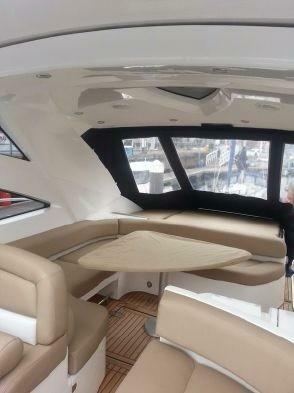 Interior woodwork in light American Oak, satin finish, with ivory leather upholstery, new 2013, Berber carpets. 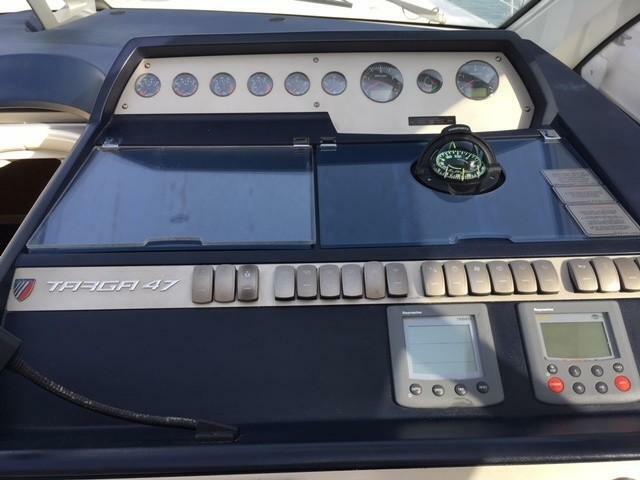 Very tidy boat, well maintained and ideal for local cruising. 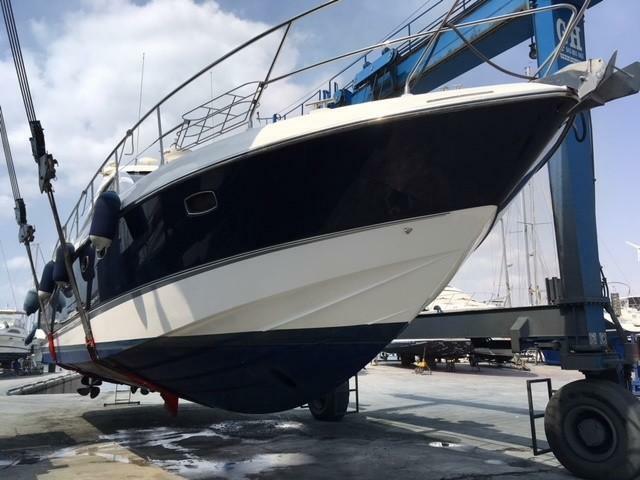 Only for sale as we have changed to a flybridge boat. 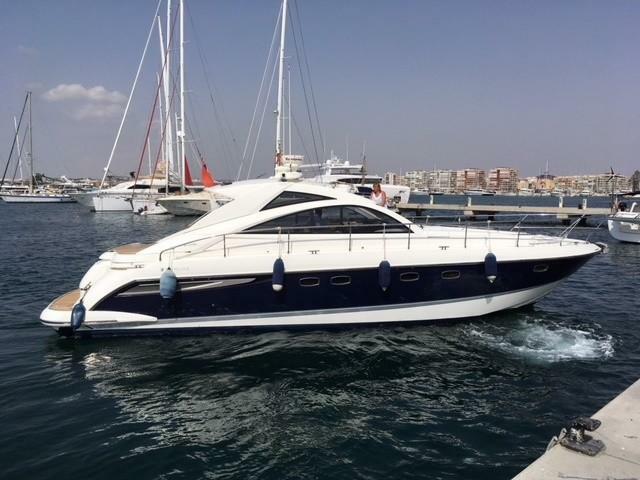 If you would like more information about this Fairline Targa 47 , please get in touch using the contact details below, or alternatively by using the contact form on the right.